Sport is a powerful thing! Year 5&6 took part in the first series of school sports day's this week. Team Bolt, Team Simmonds, Team Ennis and Team Farah competed for points in 8 morning events and the team relay in the afternoon. Medals were given out at the end of the day for two of the School Games values: determination and teamwork, with the gold medal being awarded for sporting excellence. Well done to team Simmonds, who won by the narrowest of margins. 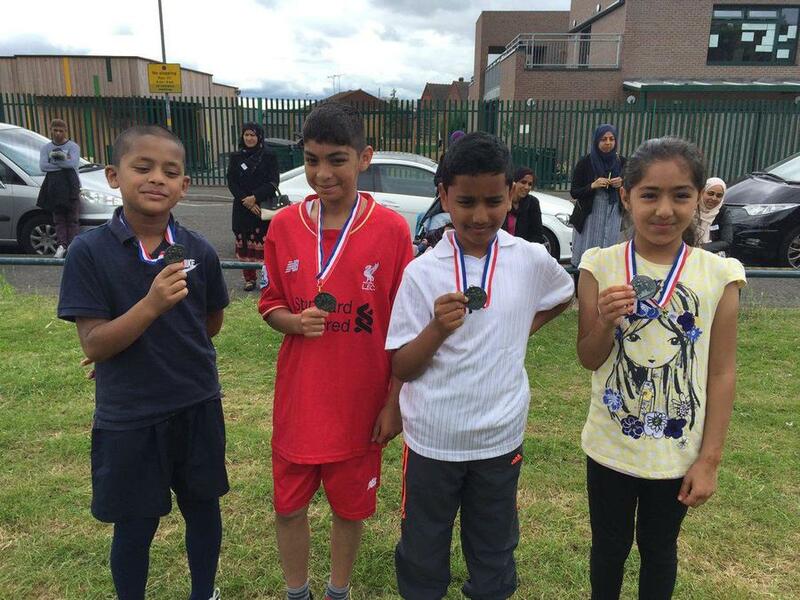 Three teams took part in the handball competition at Small Heath school. All of the children were incredibly excited and showed great teamwork during the games. All teams improved as they went on throughout the day. The teams finished in 6th, 4th and 2nd place, which they can all be very proud of. Jamal was identified by the GB handball goal keeper as somebody who had incredible talent and was invited along to join the handball club in September. Zara and Udaysah were also selected for honesty awards. Regents Park A team have now qualified to take part in the final, with the hope that they will qualify for the regional finals. 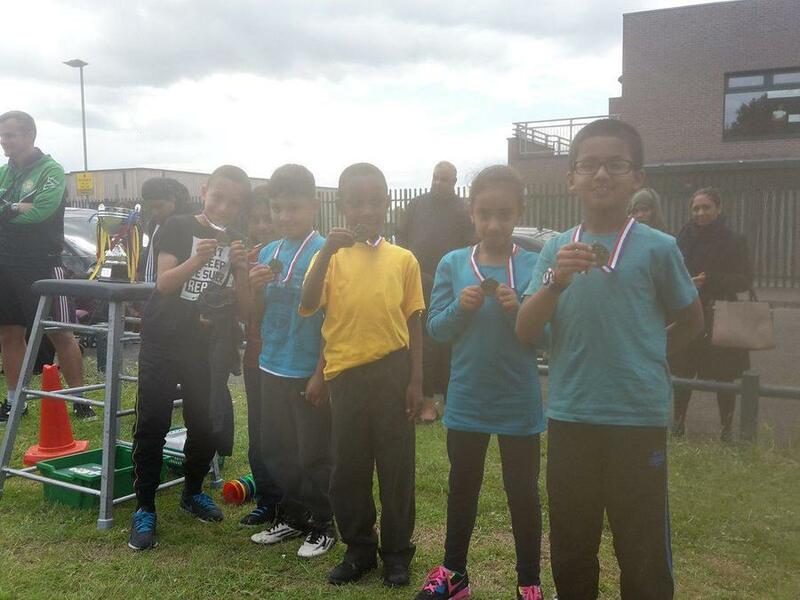 On Friday 16th June The Central Partnership hosted their annual sports awards evening at Small Heath School. It was an extremely successful evening, with lots of nominations for individuals at our school. This award represents all of the hard work and dedication shown by staff and pupils at Regents Park. It is fantastic that our provision of PE, including all of the competitions and sports trips that we organise has been recognised. Well done to all involved! There's been a wicket in the cricket! Five boys and five girls from year 4 competed in an Athletics competition against 4 other schools. The competition was made up of a 50m sprint, 400m race, long jump and javelin throw. 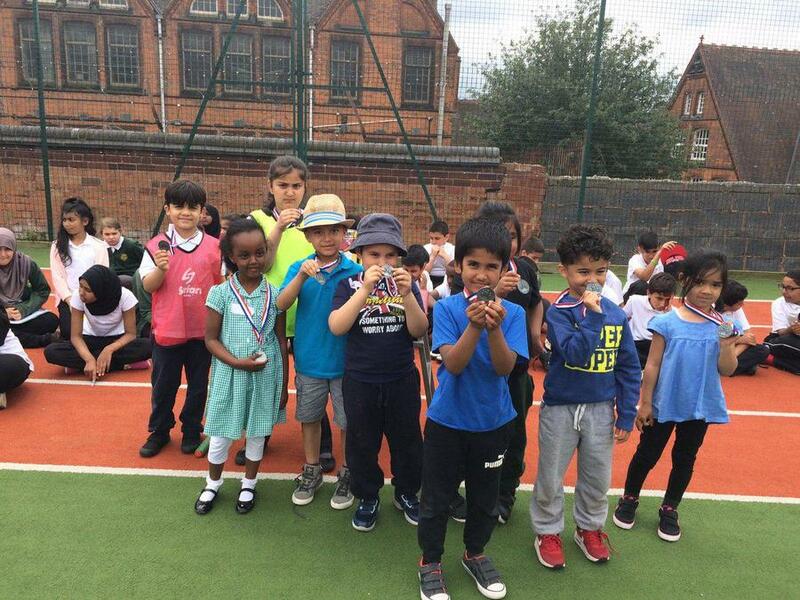 The children supported and encouraged each other throughout and were overjoyed to come away with a selection of medals for individual performances as well as winning bronze overall! 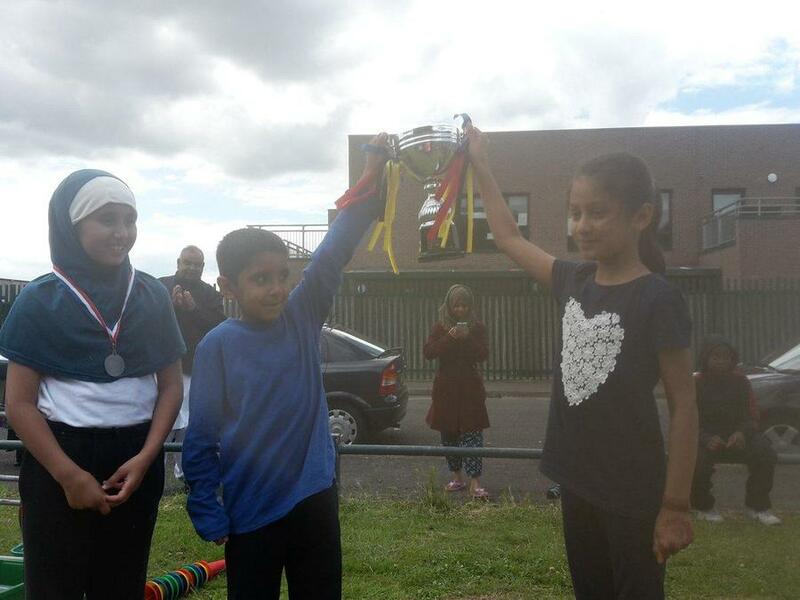 Well done to those children who took part in the rounders competition at Starbank School. The children did incredibly well, reaching the final of the competition. They faced a wonderful Audley side who played their part in what was an enthralling encounter. It was incredibly close however Audley came out on top, narrowly winning by half a rounder. This children were incredibly proud of their achievements and were showing everybody their medals the following day. 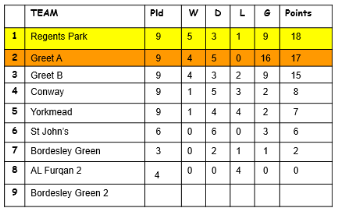 On Thursday the 18th of May we played our 3rd week of fixtures at Greet League. Our first game was against Starbank in terrible conditions - the pitch was rock solid. We managed to keep it to 0-0 with a solid defensive performance and some fantastic saves from Idreese Hussain. Our next game was against Yarnfield who unfortunately beat us 1-0. They beat us because we weren’t passing properly and we didn’t have many people in defence as the other team kept attacking and players were struggling to keep their positions; this left us with one defender (Jamal Khan) to defend our team. On our 3rd game we played Alfurqan who we won 4-0 in a cup game with top scorer Abdi Djeghroud netting 2. They fouled us a lot, which gave us a lot of advantages to score free kicks. We really enjoyed that game because we thrashed them 4-0 and hope to keep up this dominating winning streak. Well done to the boys football team who played their first set of fixtures in the Premier League after winning promotion last season. The team got off to a fantastic start, winning all 3 of their opening games. Congratulations to 5N who finished in first place in the intra-school football competition. They were rewarded with an afternoon of sporting activities. Which class will win next half term? Well done to all of those children who took part in the athletics competition. For many, this was their first competition against other schools and it was fantastic to see smiles of faces throughout the day! Congratulations to the year 5&6 football team who continued their unbeaten run this year. The training with Mr Crawford has clearly been paying off, with the children having a greater understanding of how to utilise space and work together as a team. Well done to those children who took part in the Sainsbury's School Games athletics competition. The hard work and practice from the after school club clearly paid off as they clinched the 3rd place medal! Two children from year 5 have been selected and trained to become sports ambassadors across the school. Their primary role is to encourage more children to become active and take part in sports. Both children are working together to create an action plan and working alongside Mr Crawford and Miss Carrick to monitor its impact. If you haven't spoken to them yet, come and join in some of their incredible games during lunch time! During diversity week all of the children participated in a range of paralympic events including sitting volleyball and blind football. GB athletes came to our school to inspire children and encourage them to be the best that they can be. 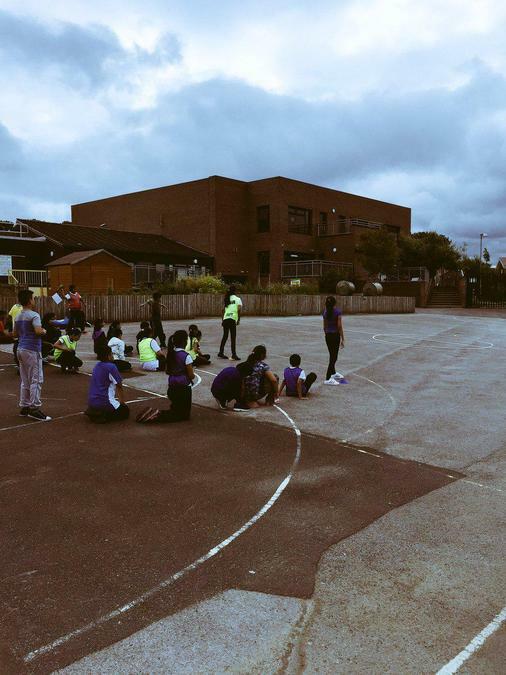 On Tuesday 27th September Regents Park took two teams to compete in the Sainsbury's School Games competition at Small Heath school. Both teams performed incredibly well, showing determination and self-belief throughout the afternoon. 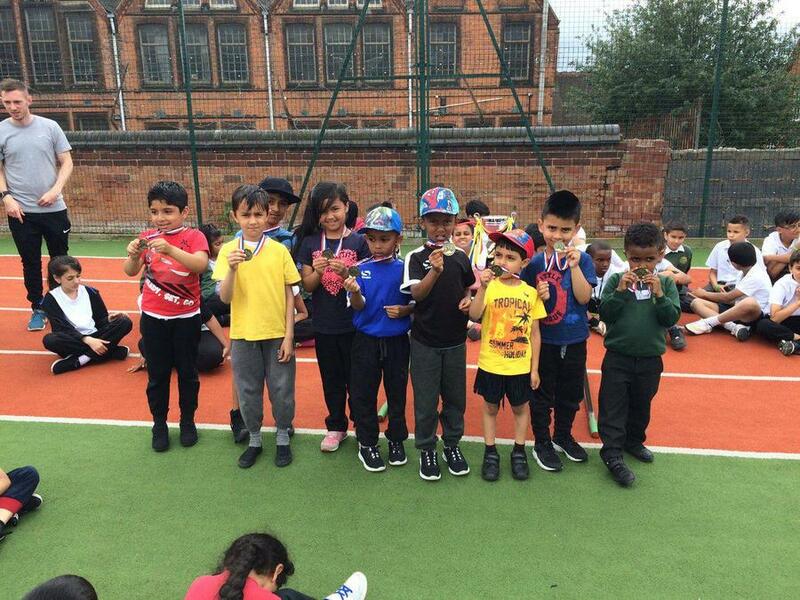 Well done to all of the children who took part in the hockey competition at Small Heath secondary school. 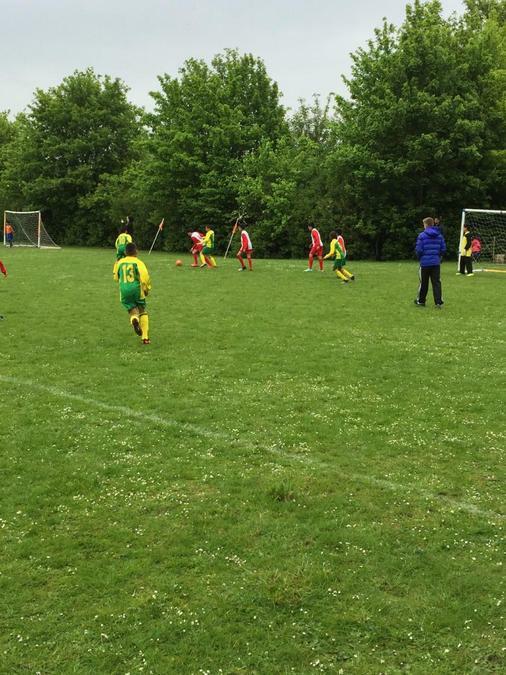 Two teams of 8 children competed against local Birmingham schools in a tournament. The practice in PE lessons and sports club clearly paid off, with all children applying the skills they had developed. Regents Park A team narrowly missed out on the opportunity to compete in the medal match on goal difference. Regents Park B team had better luck, clinching the bronze medal. A big thank you to all of the parents who attended the tournament to support their children, who clearly appreciated the enthusiastic spectators! We are pleased to announce that we have been awarded the Bronze award for the Sainsbury's School Games! Well done to all of the staff and the children for all of your hard work. Now we have the silver in our sights! A huge congratulations to Regents Park boys football team for winning the league and cup competition in their first season. All year the boys have worked tirelessly to achieve their goals, displaying teamwork, resilience and passion. The hard work paid off on Thursday 14th July when they were able to get their hands on the cups, to the delight of the onlooking parents and teachers. Congratulations boys; this just shows what hard work and desire can achieve. Congratulations to Ahmed Kawan who was voted player of the tournament by the Regents Park staff. It was an exceptionally difficult choice however his performances have been an absolute joy to watch this year. Certainly one for the future! This year sports day was based around an Olympic theme, with every house team competing for the coveted trophy. This year the school incorporated the Sainsbury's School Games values, awarding medals for determination, self-belief and sporting excellence. All of the children were fantastic as they worked together and put into the practice the skills that they have developed in PE throughout the year. Hopefully one of our students will represent Great Britain in the Olympics in years to come! The year 5&6 boys played their seventh set of fixtures in the Greet Mini League on Wednesday 22nd June. The first game of the day was a friendly against Greet B. The boys started extremely quickly, with Abdirahim scoring the first goal of the day. They clearly had the taste for goals as Ahmed soon made it two before Abdi was on the end of a fantastic team move with nearly every player touching the ball. The second game was a league fixture against Al Furqan, who were tough opponents and did not give Regents Park any time on the ball. However the deadlock was soon broken with Abdi slotting home as well as a cross from the left causing problems, which resulted in an own goal. The third game of the afternoon was against Bordsley Green 2. Abdi continued his goal scoring form as he scored the first goal. Ahmed then added a second with a spectacular free kick from the half way line. Shabir then rounded off the scoring to register a 3-0 victory. The final game of the day was against Greet A, a preview of the cup final that will be played on July 14th. Greet showed what a good team they were, scoring two quick goals past Zakariya. The final will certainly be a must see game! 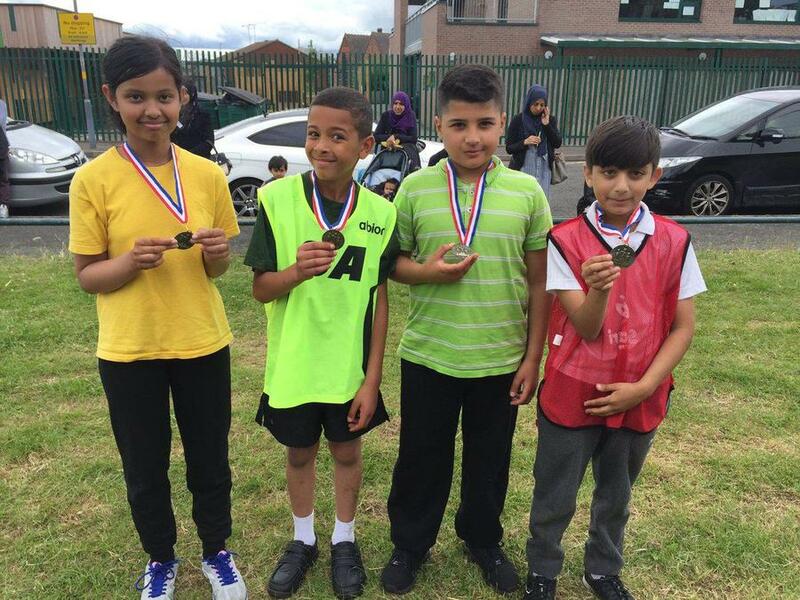 Eight children from year 5&6 took part in a Handball competition at Small Heath secondary school. The children performed magnificently on the day and all of the hard work they had put into the club after school paid off. 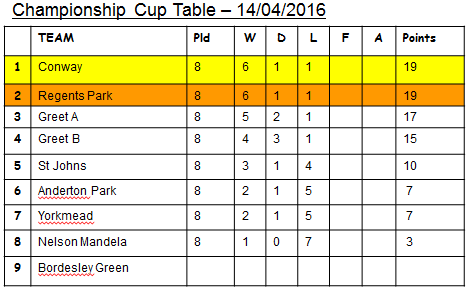 The team won their first two fixtures convincingly and drew their final group game, leaving them in second place. In the following group of games, the team came across some strong opponents however they showed great teamwork and determination. The children really enjoyed the afternoon and were pleased with finishing 6th out of 12 schools. Eight boys from year 5&6 took park in a kwik cricket competition at Shenley Academy on Friday 10th June. The boys were fantastic in encouraging each other and working together as a team. They were successful in winning their first two games and were unlucky to lose their third and final game. For 7 of the boys, it was the first sports competition that they had ever been to and they can be incredibly proud of their achievements! The year 5&6 boys played their sixth set of fixtures in the Greet Mini League on Thursday 9th June. The first league game was against Conway school. The boys got off to a quick start as Abderrahmane scored with a low strike into the bottom left corner. Their lead quickly doubled as a throw in from the left was convert with a looping header by Shabir. The second league game of the day was against a hard working and well organised Bordsley Green team. This was arguably the toughest test the team had faced as chances were limited. However Ahmed was the hero of the game as he converted a half chance, slotting the ball past the goalkeeper. The final game of the day was against Yorkmead in the semi final of the cup competition. All of the hard work in training was clear to see during this game as the boys strung together some wonderful passing play. One of these was eventually converted by Ahmed and this was quickly followed by an own goal that was a consequence of a fantastic cross from Zayan. The boys were incredibly excited as the full time whistle went and they cannot wait for the final against Greet. Well done to all of the children who took part in the two rugby competitions today, which was part of the Sainsbury's School Games. Both teams performed magnificently on the day and can be really proud of their efforts. A special well done to Sadia who won the teamwork award and to Aiman who won the honesty award. The year 5&6 boys played their fifth set of fixtures in the Greet Mini League on Thursday 19th May. The first league game was against St Johns. After wave after wave of attack, the boys could not convert their chances, being denied by the keeper and the post. The second league game saw the team impose their passing style onto the game, keeping possession and working themselves into good positions. They were far more clinical in this game and ran out as 2-0 winners. The boys clearly enjoyed themselves again and cannot wait for the next round of league games and the semi finals of the cup. 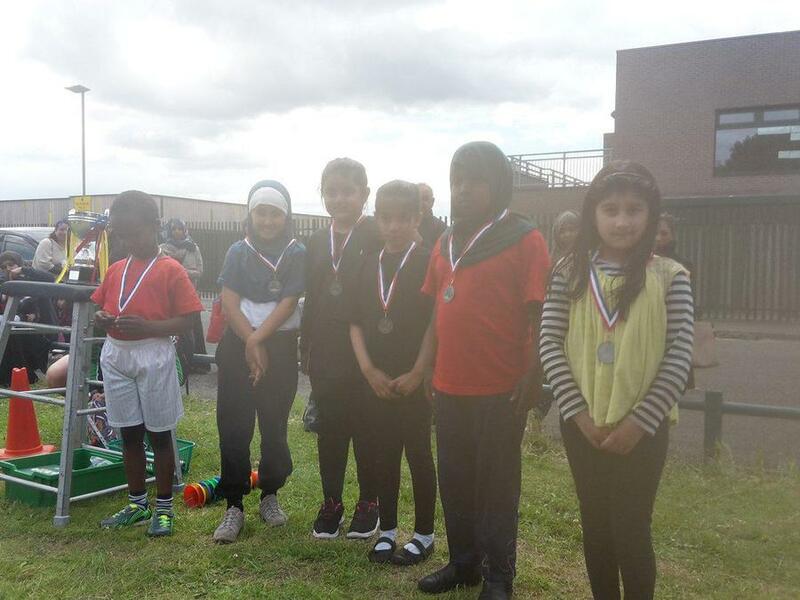 Well done to all of the year 4&5 children who took part in a day long cricket competition at Kings Heath cricket club. They showed excellent persistence and teamwork as they implemented the skills they had developed over the past 2 months. Well done to the ten children from year 3&4 and the ten children from year 5&6 who took part in the School Games Athletics Tournament on Tuesday 3rd May. They can all be very proud of themselves for their hard work! Five children were also awarded with the determination award, which was absolutely fantastic! 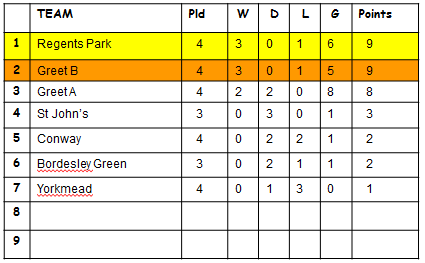 The year 5&6 boys played their fourth set of fixtures in the Greet Mini League on Wednesday 5th May. Their first two league games were top of the table clashes against Greet B and Greet A. Both games were great spectacles however Ahmed came closest to breaking the deadlock when he saw his free-kick crashed against the bar. However both games ended in stalemates, finishing in 0-0. The final league game of the day was against Yorkmead. The game looked to be heading for another draw before Zayan put the ball into a dangerous area, which resulted in the ball ending in the back of the net due an own goal, awarding Regents Park all of the points. The final game was in the cup, which had progressed onto the group stages. After an end to end game, it went to penalties. After 3 penalties each, the score was 2-2, taking it to sudden death. Jamal stepped up and confidently converted his penalty before Youssouf made himself the hero with a great save. Well done Regents Park. Another good week with some great sportsmanship on display. The year 5&6 boys played their third set of fixtures in the Greet Mini League on Thursday 22nd April. The first league game was against a well organised Bordesley Green side, who were difficult to break down and threatened on the counter attack. However the Regents Park defence were well organised and allowed Ahmed to dominate the midfield. This eventually paid off as Shabir scored two quick goals to lead us to a 2-0 victory. Their second game was against Conway, who were just behind us in the league. Another quick start by the boys saw them string together several good passing moves before Shabir converted a one on one opportunity. This was shortly followed up a wonder-goal by Ahmed as his free kick nestled in the top right hand corner. These games were followed up by two victories in friendlies against Greet B and Yorkmead, which rounded off an excellent evening that the children really enjoyed. 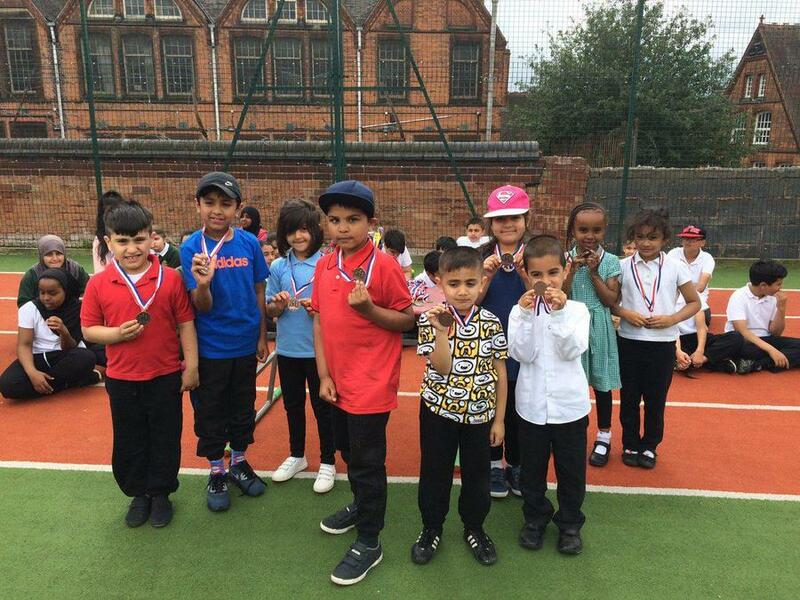 10 children from year 3 and 4 went to Oasis Hobmoor to compete against other primary schools in a Kwik cricket tournament. The children were fantastic and could be seen applying the skills they had recently developed in their cricket training from the Warwickshire cricket coach. Well done to all the children involved! On Saturday, 71 excited children from year 5&6 went to St Andrews to watch another of Birmingham City's Championship games against high flying Burnley. All the children really enjoyed the game and for many of them, it was there first chance to watch a live professional football game. Surprisingly the biggest cheer of the day was not for the Birmingham City goal scored by Maghoma! It came before the start of the second half when goalkeeper Adam Legzdins and Paul Caddis responded to chants of their names with a thumbs up to the children. The children were fantastic on the day and were a credit to Regents Park Community Primary School. The year 5&6 boys played their second set of fixtures in the Greet Mini League on Thursday 14th April. Their first game was a cup game, continuing from where they left off in week 1. They made a much better start to the game this time, taking the lead against Greet School with a great team move that was finished off by Abdrahman. The next two games were in the league. Another goal from Abdrahman and some fantastic team passing proved too much for Yorkmead as Regents Park ran out 1-0 winners. The final game of the day was against Greet. Two quick goals for Greet put Regents Park on the back foot but captain Esfar made sure their heads didn't drop as they mounted a comeback. A well taken goal by Abdrahman gave the boys a chance however after numerous chances they were unable to capitalise, losing 2-1. Ten children from year 3&4 as well as ten children from year 5&6 took part in a golf competition against other schools at Hatchford Brook Golf Course. The children had been preparing for the competition for many weeks at sports club, which appeared to pay off! 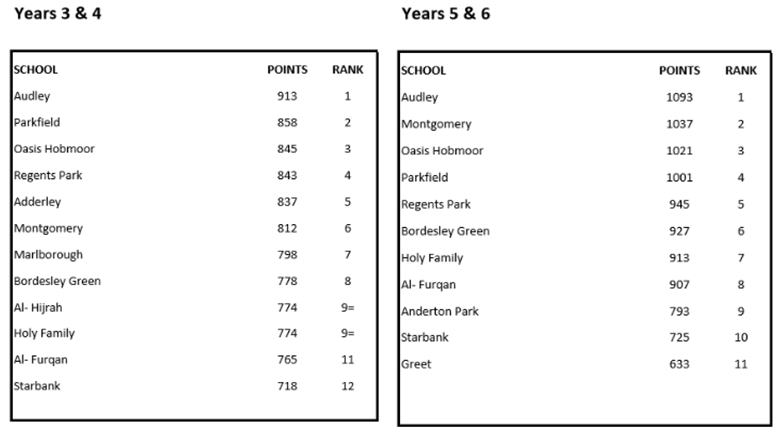 Year 3&4 finished in 5th place out of 9 schools whilst year 5&6 finished in 4th place out of 8 schools. It looks like we may have a potential Rory Mcllroy or Annika Sörenstam on our hands! The year 5&6 boys made their debut in the Greet Mini League on Thursday 17th March. Their first game saw them get off to a slow start, conceding an early goal against Conway whilst they found their feet. They responded well and created a number of chances but failed to convert them. Improving in the second game versus Yorkmead, the boys were able to play their passing game and Shabir finished off a fantastic team move with an audacious finish. Their final game of the day put them up against Greet A, who tested our defences ability. However with captain Esfar marshalling the back line, they defended resolutely to keep a clean sheet. 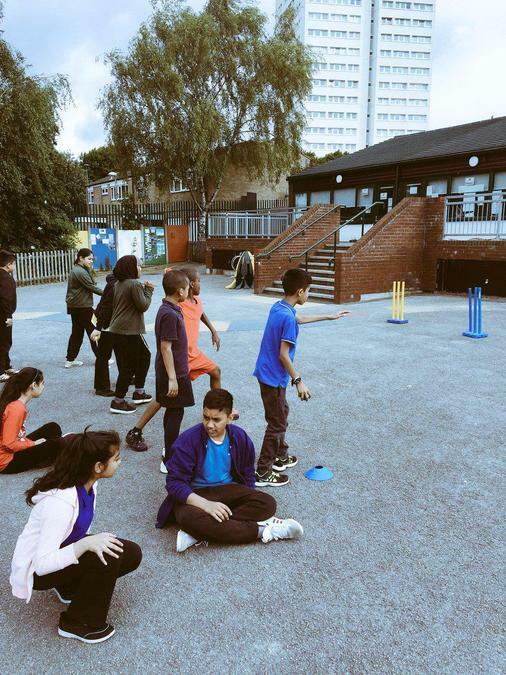 Year 4&5 are taking part in a coaching program, which is building up to the cricket festival in the summer! All of the children were very excited to take part on the first session and learnt many new skills, including throwing, catching and over arm bowling. Hopefully we will see one of our pupils representing England one day! 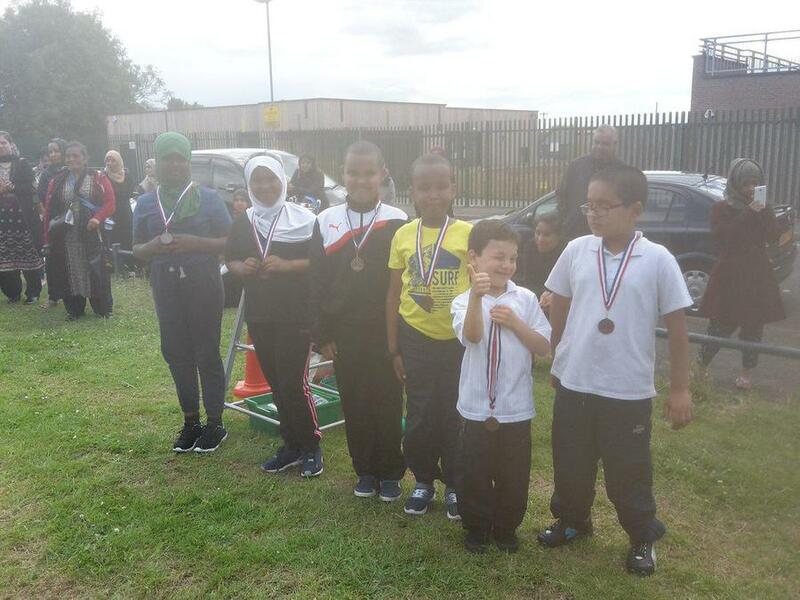 The first competition of 2016 saw six Year 3&4 children take part in a gymnastics competition at Small Heath School. The children competed in many different events and even had the opportunity to meet an Olympic gymnast Hannah Whelan! 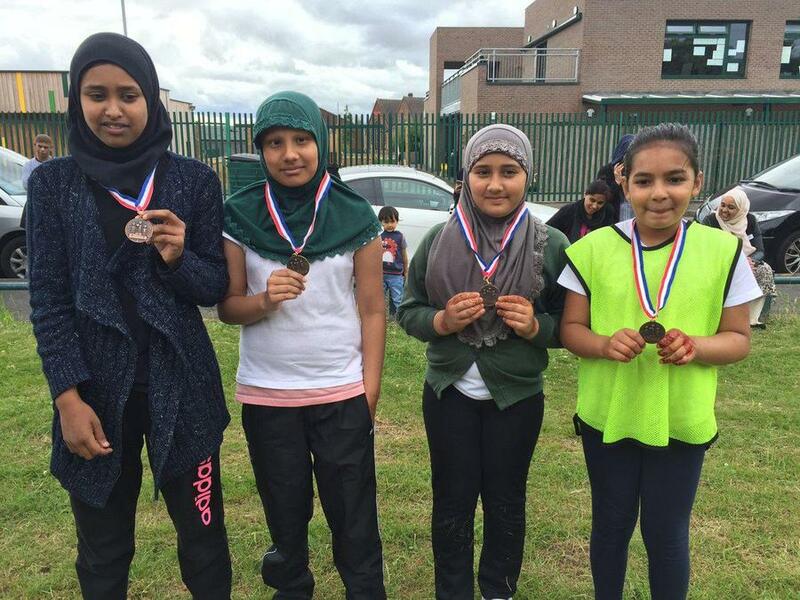 At the end of November, year 5&6 pupils competed in a hockey competition at Small Heath Secondary School. The training they had been doing really paid off, resulting in them recording 3 victories and one narrow loss in their 4 games. 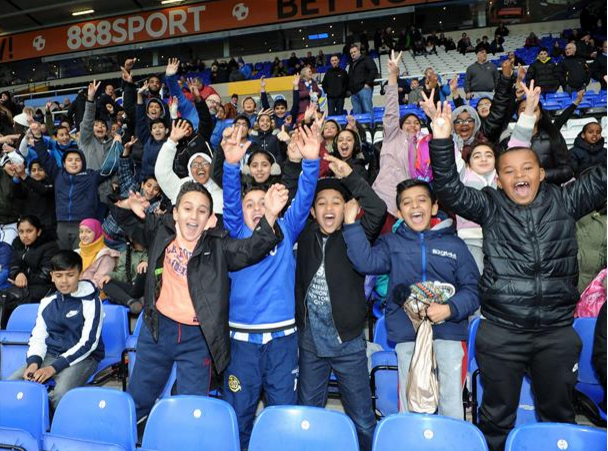 On Saturday, 65 children from UKS2 went on a trip to watch Birmingham City vs QPR. For many of the children, this was their first time being in a sports stadium and were mesmerised throughout the game. Highlights included Reanne heading the ball (unintentionally) and Paul Caddis giving us a thumbs up whilst 65 children chanted his name. As it was the first football game for many of the children, this will be a day they will not forget in a hurry! We were close to the action! 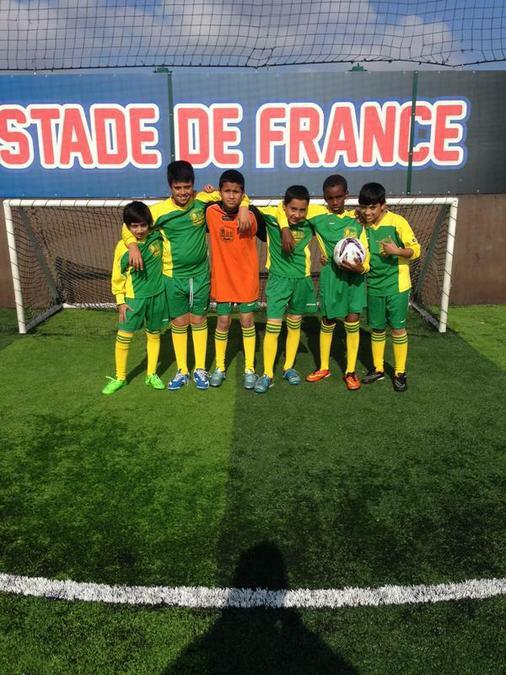 The year 5&6 boys had their first game of the season, competing at a school's tournament at Star City. They got off to a great start, winning 3 of their first four games and progressed through to the semi finals. It was then that they met a good Al-Hijrah school team who scored quick back to back goals to end their hopes of reaching the final. It was a great start to the season and they boys are hopeful that they will improve and go a stage further next time! The Rugby Football Union's Core Values shown in the video. 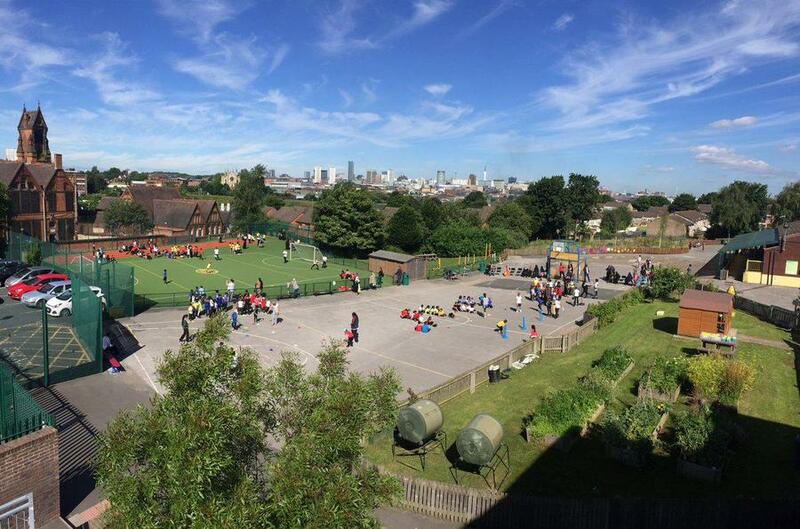 Over three days, all of the children of Regents Park competed within their house teams in a variety of events in the 2015 sports day. These included a relay race, javelin throw, dodgeball, tri-golf, football tournament and many more. There was some wonderful teamwork and excellent effort on show throughout. Congratulations to Team Tolkien who were crowned champions after scoring a huge 57 points! 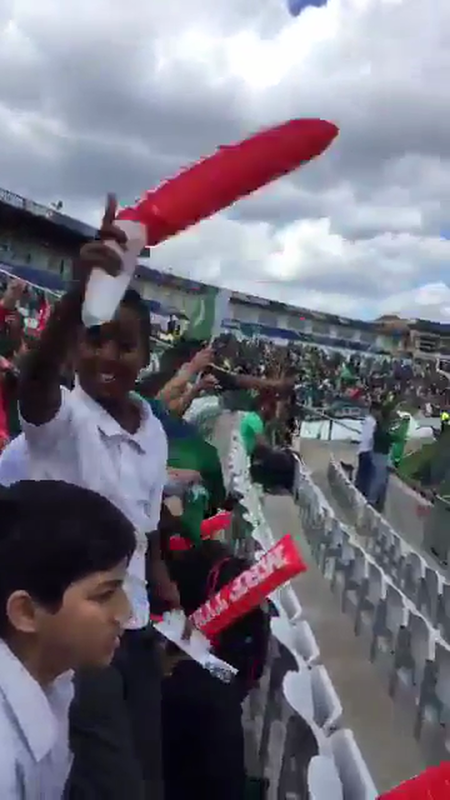 On the 20th June 2015, thirty Year 6 children went to Edgbaston cricket ground to watch England take on New Zealand in the first ODI. It was an enthralling game that saw England set a record high score, whilst being cheered on by Regents Park. 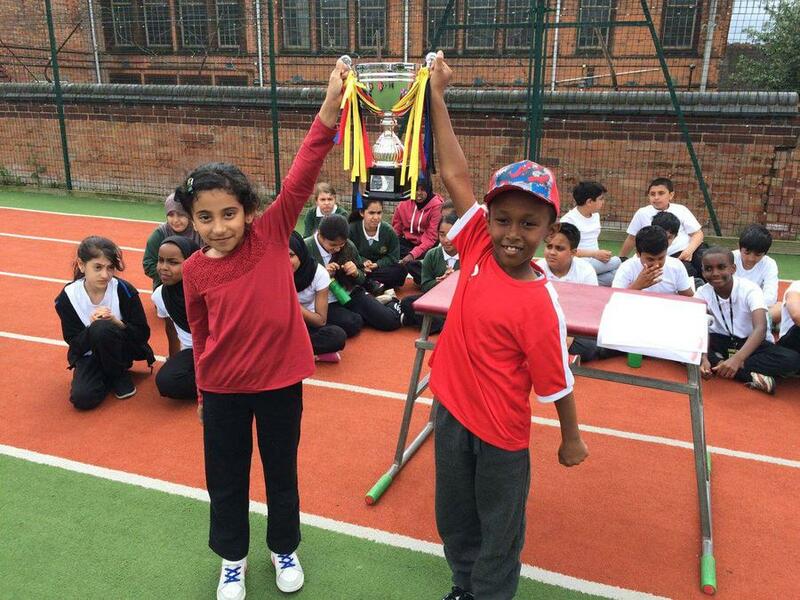 Congratulations to those who took part in the Super 4's Athletics competitions as Oasis Hobmoor Academy. The events included the 400m, 100m sprint, javelin and long jump. Competing against 5 other schools, the children showed excellent perseverance and determination whilst encouraging each other. Year 3&4 finished in an impressive 4th place whilst Year 5&6 surprised themselves by finishing in 1st place and couldn't have been happier to take the trophy back to Regents Park. On Thursday 21st May, 28 children from Year 4, 5 and 6 travelled to the Alexander Stadium to compete in the NBAcademy games. The children were absolutely fantastic, both on and off the track. They won lots of medals, with gold in the Yr6 girls 100m, 200m and relay as well as winning medals in throwing and jumping events. We are looking forward to competing again next year and building on our success. Well done to all those who took part! Year 6 worked in teams in an election campaign to try and win their candidate votes. Mr Beale, Year 5 and Year 6 listened to speeches, read leaflets and witnessed a week of campaigning, which resulted in the election of 4 new house team leaders. Who will guide their house team to Sports Day glory? 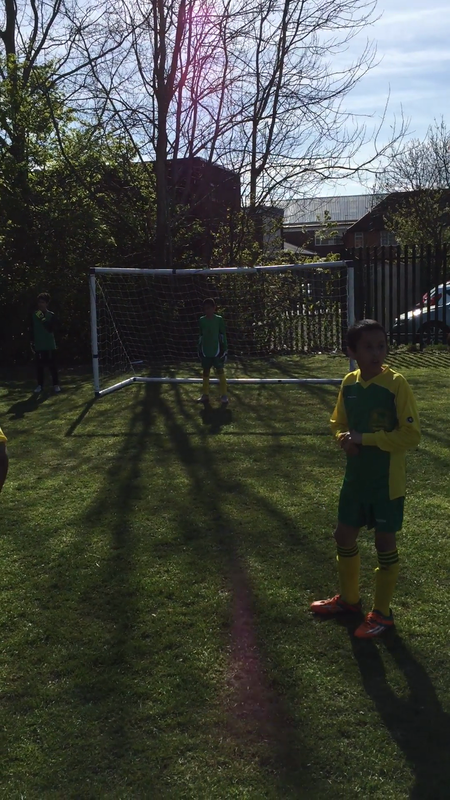 Year 6 took part in an intra-school football competition in May. Names were drawn out and children were placed into a European team. The competition saw some great goals and some excellent team work, with everybody working together, determined to win the title! On Saturday, fifty children from year 5&6 went to watch Birmingham City defeat Brentford 1-0. For the vast majority of the children, it was the first football game that they had been to and was a memorable experience.